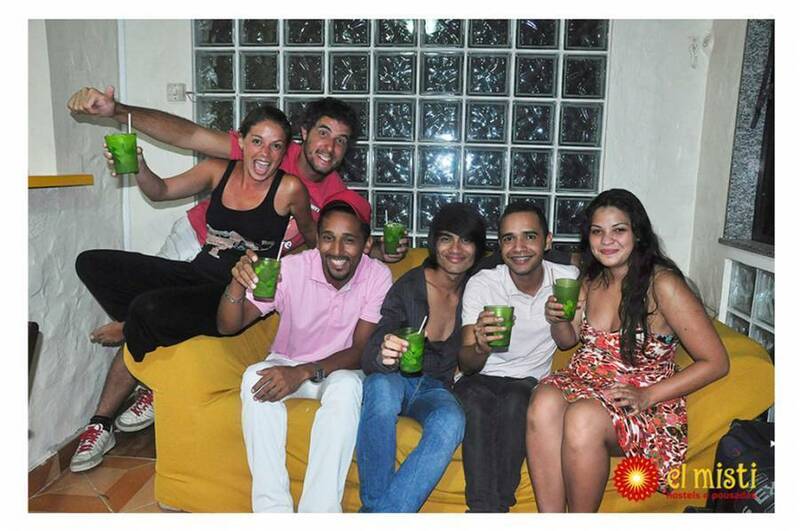 With a relaxed atmosphere and comfortable facilities, the El Misti Hostel Leme is waiting for you only a few blocks away from the beach and a very short walking distance from Copacabana, on a hill where you will enjoy a wonderful view of Rio. 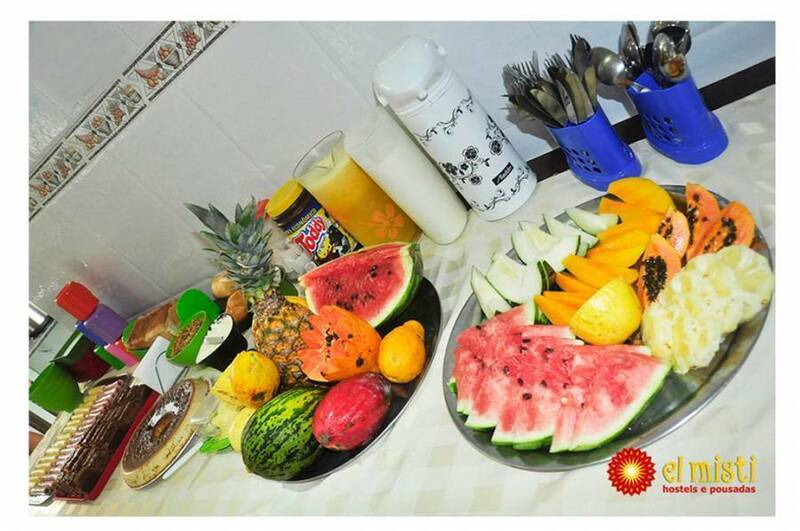 Apart from rooms that can either be shared or private, equipped with lockers and linen, this hostel also offers free wireless internet, courtesy breakfast buffet, a modern kitchen, bar, low cost dinner service and a large social area with its own barbecue. Ipanema Beach and Sugarloaf Mountain are each about 4 km from the property. The Cardeal Arcoverde Metro Stop is a 10-minute walk away. Leme is a great choice for travellers interested in nightlife, beach walks and sand beaches. 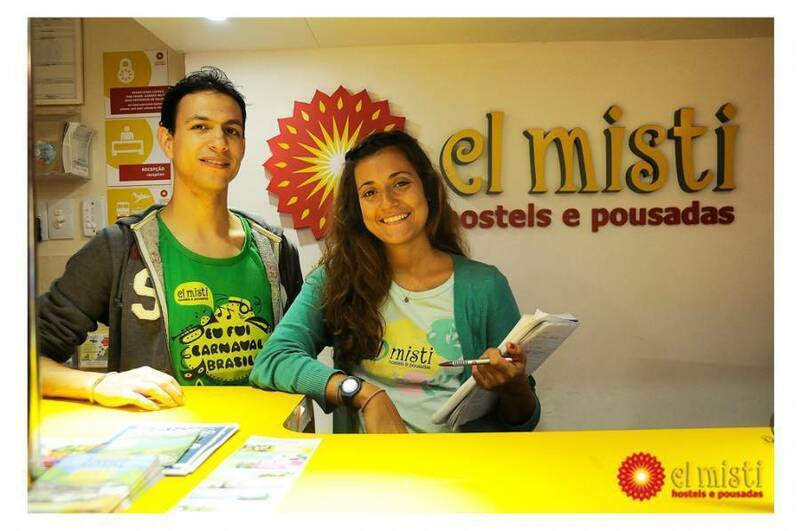 For your own comfort, El Misti Leme offers a free transfer service on arrival for bookings of 4 or more nights* as well as El Misti Experiece**, an exclusive programme that provides free tours around Rio de Janeiro with one of the staff members. 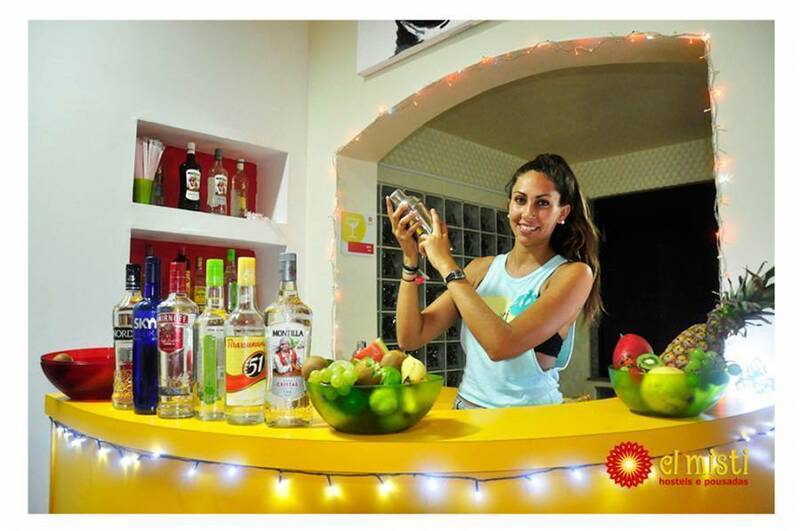 Our trilingual receptionists will give you valuable tips on parties and tours in town. 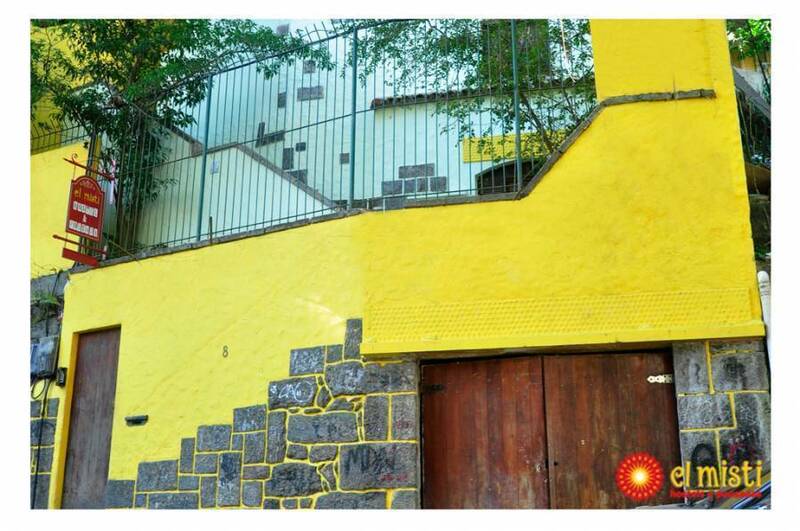 A one and only opportunity to get to know the Cidade Maravilhosa without spending much! * *Must be booked at least 48 hours in advance. We require a 50% deposit to confirm and guarantee any reservation. The remaining balance must be paid at the check-in time. In the event of a no-show the hostel charges the full amount of balance on customer's credit card. * Cancellations for groups of 6 or more people must be made with at least a full 30 days notice. In this case, the group may collect 100% of their deposit paid to El Misti (not including deposits made through 3rd party sites). Any cancellations made with insufficient notice will not have any portion of the deposit refunded. * For New Years Package (27-12-2015 to 4-1-2016) can only be made before Nov. 30 and are 100% refundable. After that date will not have deposits refunded. * For the Summer Season 2016 (05-01-2016 to 01–02-2016) (14-02-2016 to 22/03/2016) can only be made 15 days before check in date, 100% refundable. After that date will not be refunded deposits. * For the Carnaval 2016 Package (02-02-2016 to 13-02-2016) can only be made 15 days before check in date, 100% reimbursable. After that date will not have deposits refunded. * For the Holy Week 2016 Package (23-03-2016 to 28-03-2016) can only be made 15 days before check in date, 100% reimbursable. After that date will not have deposits refunded. * For Olympic Games Packages (27-07-2016 to 28-08-2016) it is necessary to pay 50% of the value of the reservation, at the time booking is submitted. Cancellations will only be processed 30 days prior check-in date. After that date, no reimbursement will be made. 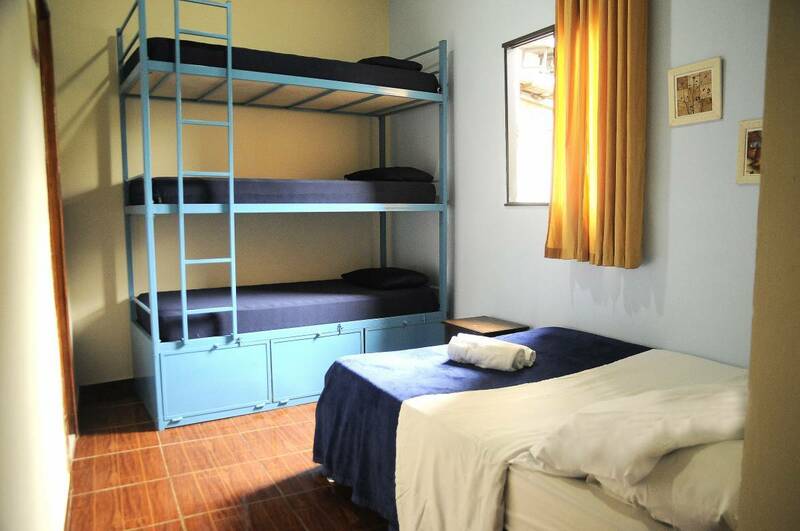 In the event of a no-show the hostel charges the full amount of balance. For cancellation requests which fall within the stipulated time will be charged an administrative fee of 12.5% of the total amount. * For any other dates not included above have to be made 72hs before check-in, otherwise no reimbursement is performed.